The parents of one of the four men killed and buried on a Bucks County farm this summer have filed a wrongful death lawsuit. 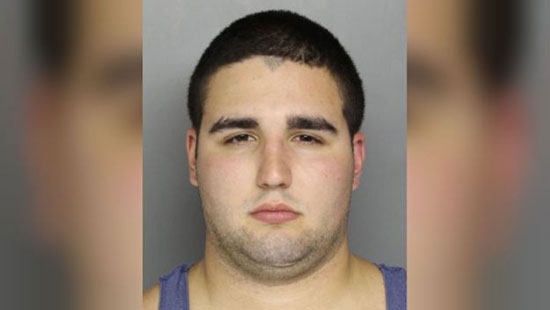 The suit was filed in the Philadelphia Court of Common Pleas against the two cousins, Cosmo DiNardo and Sean Kratz, who are charged with the murders as well as DiNardo's parents, Sandra and Anthony DiNardo. It is being brought by the family of 22-year-old Mark Sturgis. Attorney Robert Ross said in a statement, "With this lawsuit, the heartbroken parents of Mark Sturgis intend to hold accountable everyone responsible for the horrific death of their son, not just those who pulled the trigger. This includes those who negligently and carelessly permitted either of the accused to gain access to firearms and equipment used in these heinous crimes." The suit claims that DiNardo's parents were negligent in allowing their son access to their handgun and their farm property and equipment in spite of his history of mental illness. Sturgis, Jimi Patrick, Dean Finocchiaro, and Tom Meo were found shot to death, burned, and buried on the family farm in Solebury Township in July. DiNardo and Kratz pled not guilty at an arraignment last week. DiNardo has confessed to the crimes. He's agreed to cooperate in exchange for the prosecutor sparing the death penalty. A Philadelphia Common Pleas Court judge has agreed to review the case against former Amtrak engineer Brandon Bostian, but a decision on whether to reinstate any charges will have to wait until next year. The judge has set a hearing date for February 6th. The prosecution is appealing a September ruling by another judge who threw out involuntary manslaughter and reckless endangerment charges filed by the Pennsylvania state attorney general's office. That judge said there was not enough evidence. The Philadelphia district attorney's office previously declined to file charges also citing not enough evidence. Amtrak 188 was going 106 mph in a 50 mph speed zone when it went off the rails in Port Richmond in May 2015. Eight people died and 246 were injured. An 8-year-old boy was killed in a car accident this afternoon in the Crescentville neighborhood. It happened around 2 pm at the intersection of Herkness Street and Whitaker Avenue. A car struck the boy's vehicle and then fled the scene. The 28-year-old driver of the car was taken to Temple University Hospital and is in stable condition. The 8-year-old boy was taken to St. Christopher's Hospital where he was pronounced dead. The driver of the fleeing car was found and identified. He told police that he is diabetic and had an incident. He was taken to Aria-Frankford Hospital. No charges have been filed yet. The accident is still under investigation. The Philadelphia Phillies officially announce new 1B Carlos Santana. He is signed to a 3-year $60 million deal with a club option for 2021.The 31-year-old batted .259/.363/.455 with 23 HRs and 79 RBIs last year with the Indians.